The three-light inverted pendant from the Arden collection offers a comfortable silhouette that is both rustic and modern. A substantial frame is crafted from overscale tubing to heighten the effect. The summer linen shades with etched glass diffuser coordinates with many other Progress Lighting styles like Cherish. One-light hanging fixture with distressed clear glass and etched opal glass. A contemporary interpretation of antique nautical lanterns. Can be used as a single piece or in multiples to obtain desired look. 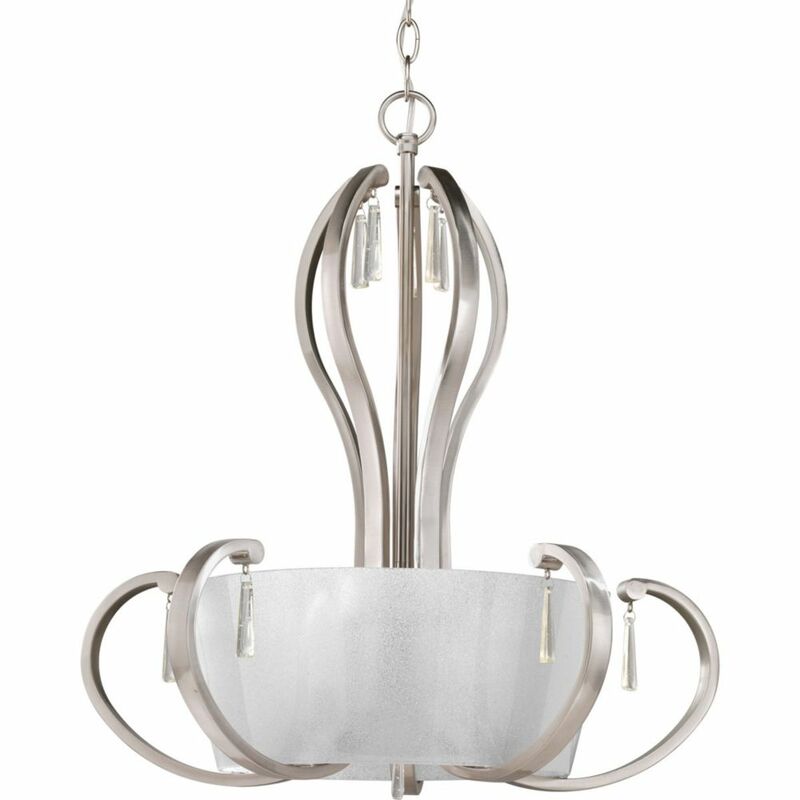 Dazzle Collection 5-Light Brushed Nickel Foyer Pendant The Dazzle collection is sure to add some wow factor to your home. Dazzling glass features a gleaming polished exterior and a interior finish composed of fused glass beads to provide diffusion and sparkle. A jewel-like, faux rock crystal adds even more panache for an elegant and well dressed effect to your home.